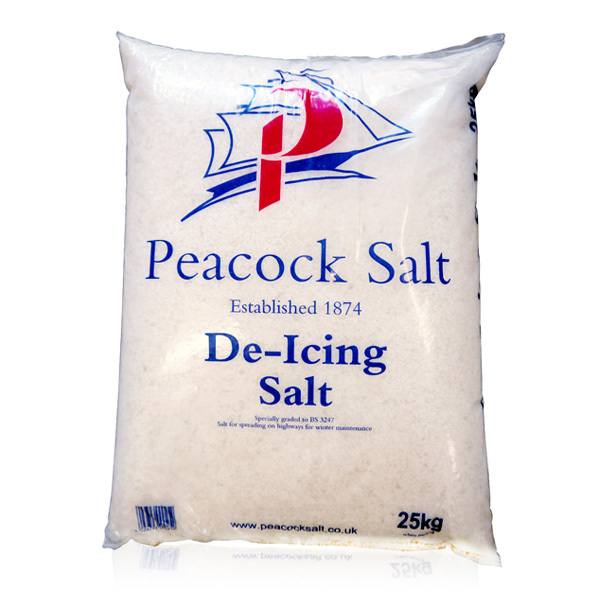 Come to Parkhill Garden Centre to get a great deal on White De-Icing Salt. Great for icy driveway, foot path, office complex, storage yard, or car park! This salt is clean to use leaving no dirty residue to be trodden into buildings and vehicles. After a winter season, there is no residue to sweep up and no drains to be cleared. Peacock white salt is carefully screened to produce the most effective spread pattern increasing pedestrian safety and the working life of equipment. The salt is harvested from sustainable sources around the Mediterranean Sea. PARKHILL RETAIL PRICE inc VAT Only £6.50 per 25Kg Bag or £2.99 per 10kg Bag. OFFICE COMPLEX, INDUSTRIAL SITE OR SNOW CLEARING CONTRACTOR. Please check our very competitive trade pricing for Pallets of 49 x 25kg bags or loose one ton bags. There is a fantastic choice of SNOW SCOOPS AND SHOVELS from only £4.99, to top of the range models complete with shock absorbers to help protect your joints.